SnapCacklePop: Learn how to Paint Me Black with Ben Hazlewood..! Learn how to Paint Me Black with Ben Hazlewood..! We've featured Ben Hazlewood on SCP before and we really enjoyed his E.P. Loveless. He's been working hard to really make a name for himself in the music scene where his smooth voice and great songs should have him at the top of the charts. Ben has even worked with Molly Meldrum on is ripper last single Loveless - with Molly's status in the music industry, if he thinks Ben has something, then it must be true! 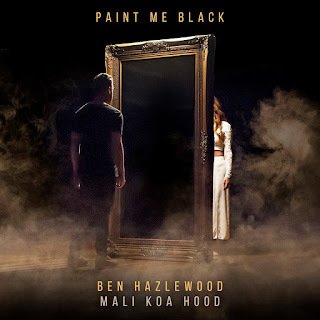 The latest from this Kiwi-in-Australia is Paint Me Black, am amazing duet with fellow The Voice Australia alumni & Kiwi Mali-Koa Hood. These two sound great together and their harmonies are intriguing - as is the simple yet effective video clip. Someone needs to get Ben's stuff onto the mainstream radio stations and get him the recognition he deserves!! Check out Paint Me Black below & pick up the track on iTunes now..!